Submit a photo of your finished artwork on Schoology. There is not a required rubric with this project. 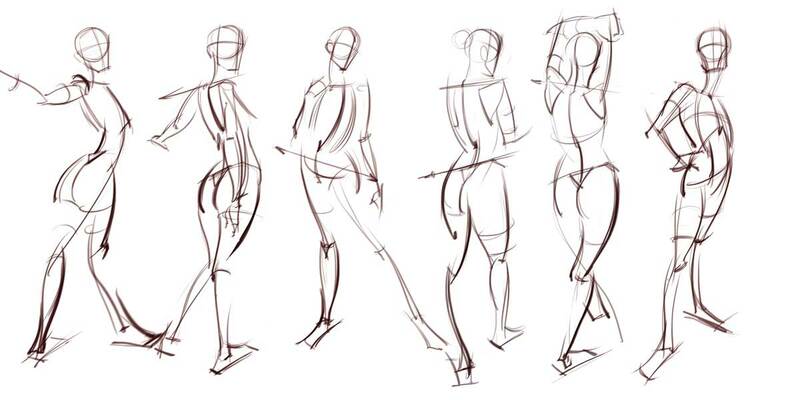 Gesture drawing are quick sketches that capture the movement and curves of the human figure. They are done quickly, loosely, and with little detail. The artist does try to capture the correct proportions, as well as, the overall position and stance of the model. Gestures drawings serve as a warm up and also help the artist practice drawing the human form correctly. 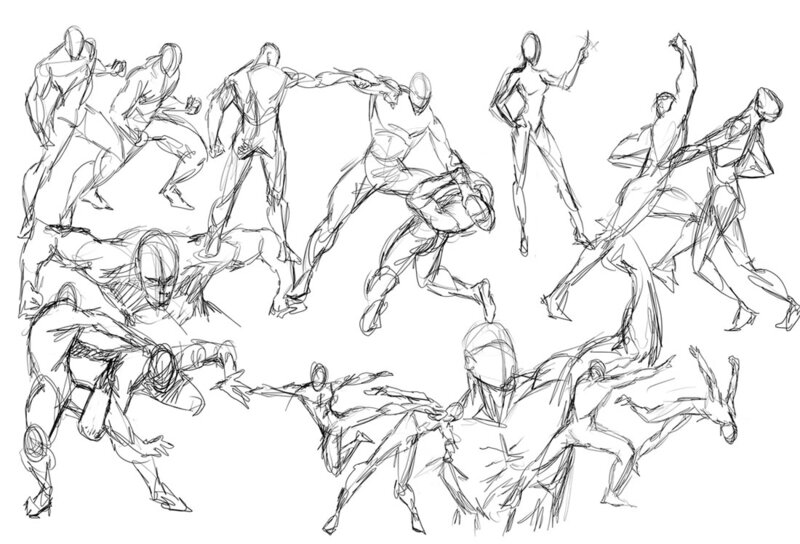 Below are 2 videos that will help you learn how to create gesture drawings. 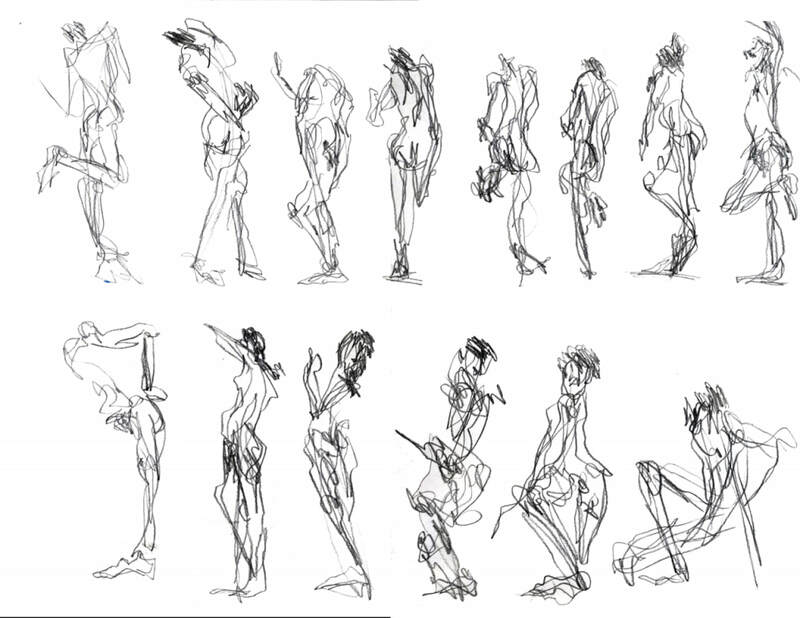 In the"Tutorial Figure Drawing" video, you will learn the backstory and thinking behind creating gesture drawings. It tells you the why. The 2nd video, "Gesture Drawing I with Chris Warner" demonstrates a gesture drawing. It shows you the how of gesture drawing. It is also important to note that artist vary in the ways that they create a gesture drawing. Some artist are very loose with an almost scribbled style, while others are more ordered. Do some research to find out what feels more natural to your own personal style. Although you will only choose 1 medium for this project, you will need to take the sketchbook notes from all 4 media options for use on the exam. Sketchbook Notes are indicated by red lettering.